The demand for energy efficient and sustainable development has increased significantly in recent years, due to social pressure and legislation. For the construction and agricultural sectors this means more accurate information about the environment and the impact that building materials and products has on our surroundings. EPS is an excellent insulator as air is a poor conductor of heat (as long as it is not allowed to move). EPS is 98% air, therefore it offers exceptional insulating qualities. Technopol’s EPS panels insulate houses and our packaging protects valuable shipments. EPS’s exceptional cushioning and thermal properties result in lower damage rates and maintain a secure cold chain for temperature sensitive products. 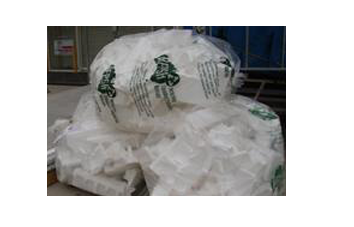 The Greenhouse gas emissions of plastics, including Polystyrene, are 76% less than other, alternative materials. Technopol uses Pentane as blowing which is a naturally occurring chemical like methane. It is formed by natural processes including the decomposition of plant matter and digestive tracts of animals. Manufacturing EPS does not pollute water, be it during production, usage or destruction. EPS is accepted in use with various types of building material and complies with regulations for building and construction performance. EPS is one of the lightest of all construction materials allowing ease of handling and faster construction times. The outstanding thermal insulation properties and durability ensure performance throughout the full lifetime of the building/construction application in which it is used. 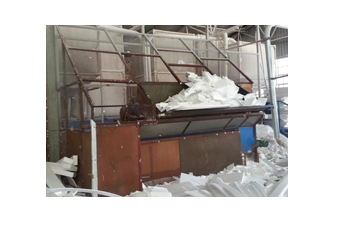 Recycling: EPS is at 100% recyclable and re-usable. It can either be mechanically recycled into several applications or chemically converted into other products.